Designed by Herbert Bayer in 1954, making it in all likelihood the first "earthwork" done within the context of contemporary art; the piece is maintained and visible at the Aspen Institute's Aspen Meadows campus in Aspen, Colorado. 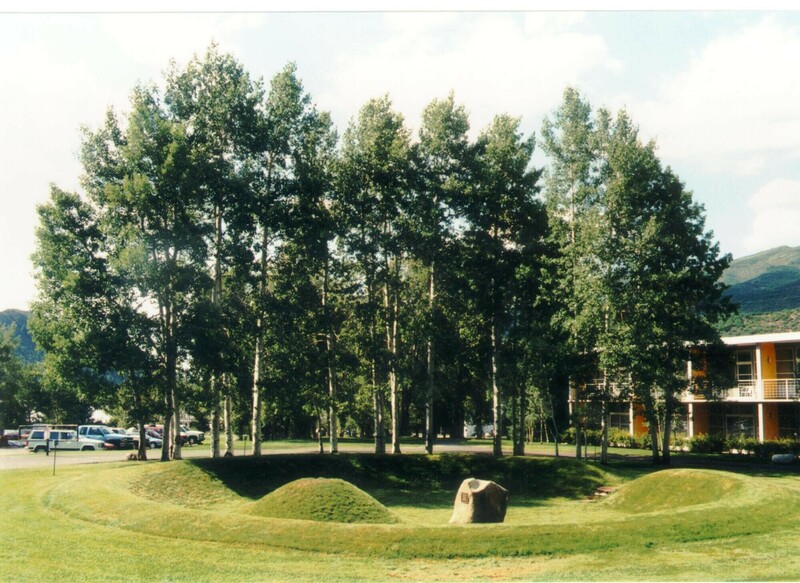 Down a nearby path is Anderson Park, designed by Bayer in 1973, in which he combined elements of both Earth Mound and Marble Garden (1955), yet another of his sculptures to be found on the Aspen Institute campus. Bayer was an Austrian artist who taught at the Bauhaus in the 1920s. He worked as an architect for the Aspen Institute after moving to Aspen in 1946. After a long and distinguished career there, Bayer moved to Santa Barbara, CA, where he died in 1985.